Our parishes will study Exodus this winter in St. Patrick's parish house on Tuesday evenings from 7-8:30 pm beginning on January 24th. 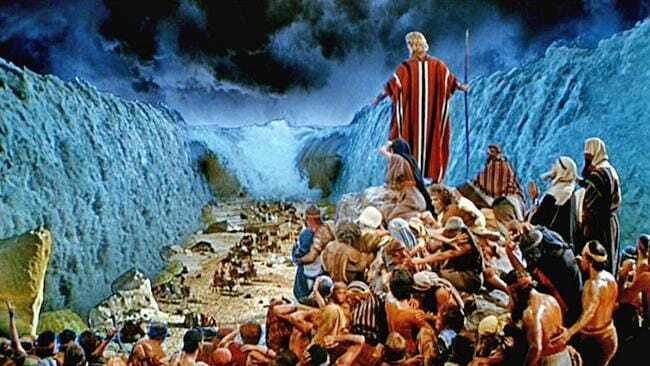 The Exodus is the central event of the Old Testament. Its themes of liberation, wilderness, passover, covenant, and God's dwelling are central for the whole Bible. It tells the story of God calling Moses to be the prophet through whom God will lead the people to freedom from slavery in Egypt and their struggles to learn faithfulness in the wilderness where God makes covenant with them. The 10 commandments form the ethical core of this covenant while the instructions for building a tent of worship accentuate God's intention to dwell in the midst of the people. The children in St. Patrick's Faith Formation program will build their faith brick by brick through a study of Exodus, and will continue to learn Catholic prayers and traditions with Our Family Prays. Our teens continue to be involved in church ministries and service projects. Anyone over the age of 15 who feels ready to consider preparing for Confirmation, please pick up a brochure in the church and call to set up an interview. Interviews will be held in April and May and preparation for Confirmation this fall begins in June. Each session consists of an opening ritual prayer, age-appropriate content, Scripture, reflection and discussion opportunities, and activities. A program that invites young people to deepen their relationship with God, strengthen their faith and connect to the whole faith community. Special features of the Candidate Book include Signs of Faith, Symbol of the Holy Spirit, Witness of Faith, Faith in Action, and a Share Together section for candidates and their families or sponsors.